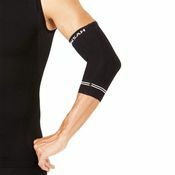 Professional Supplement Center is pleased to announce the addition of an innovative line of graduated compression sleeves designed for professional, recreational and would be athletes who are transitioning from a sedentary to an active lifestyle. 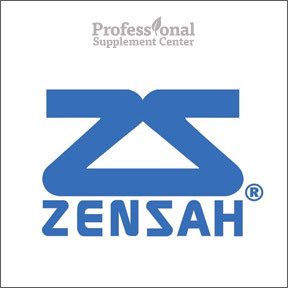 As the first company to develop high performance sports apparel, Zensah® manufactures sleeves using precision engineering and cutting edge seamless technology to provide comfortable, pinpoint compression that stabilizes muscles and improves efficiency. Graduated compression and targeted pressure points lead to enhanced blood circulation and increased oxygen flow, resulting in increased muscle support and decreased recovery time. Designed for the perfect ergonomic fit, durable, comfortable, moisture wicking Zensah Fabric® is non-chafing, anti-odor and antimicrobial. The chevron ribbing supports the muscle, relieves fatigue and helps to prevent and relieve shin splints. 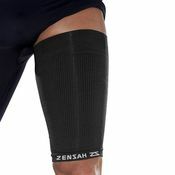 Additionally, Zensah® compression sleeve benefits include reduced delayed onset muscle soreness, reduced swelling and inflammation post activity and enhanced performance during physical activity. 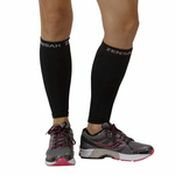 This entry was posted in Home and tagged Compression Elbow Sleeve, Compression Knee Sleeve, Compression Leg Sleeves, Compression Thigh Sleeve, Tech+ Compression Socks, Zensah. Bookmark the permalink.